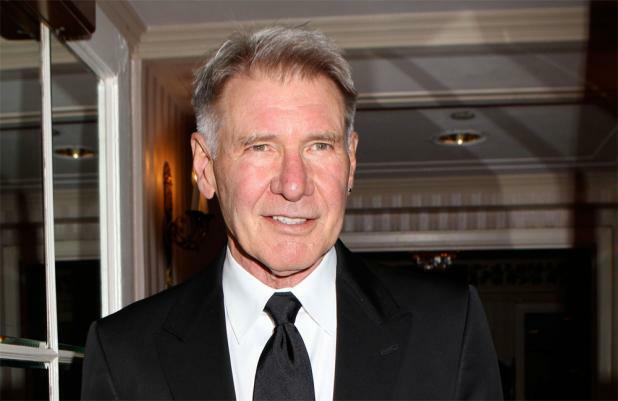 Harrison Ford is "looking forward" to returning to 'Star Wars'. The 70-year-old actor insisted he hasn't signed a contract to reprise his role as Han Solo - who he played in the original trilogy from 1977 to 1983 - in the forthcoming new films in the series, but he is keen to take part and can't wait to get started. He told WGN 9: "I think it's almost true, I'm looking forward to it. It's not in the bag yet, but I think it's happening." Harrison's comments came soon after George Lucas - who sold the franchise to Disney last year, but will take on a consultancy role for 'Episode VII' - let slip he has asked original 'Star Wars' trilogy cast members Harrison, Mark Hamill and Carrie Fisher to reprise their iconic roles. He revealed: "We had already signed Mark and Carrie and Harrison - or we were pretty much in final stages of negotiation. So I called them to say, 'Look, this is what's going on'. Carrie recently joked she would be back as heroine Princess Leia, the twin sister of main character Luke Skywalker (Hamill), but her representatives subsequently downplayed the claims.